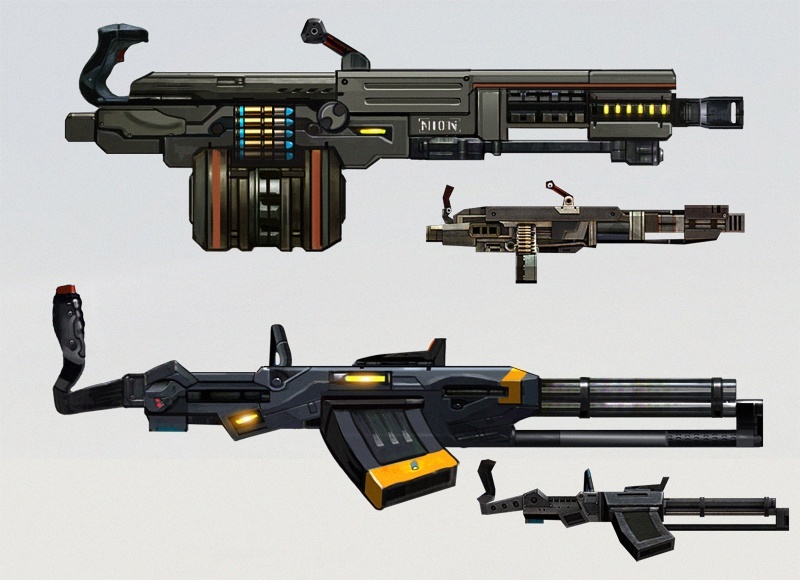 The Machine Guns is one of Weapons type in the Evolution: Battle for Utopia game. Machine Guns have the highest rate of fire of any weapon and are usually the most powerful weapon in your inventory. They are very handy when dealing with tough enemies, as well as when performing PvP attacks. – Regular Damage. Good for unarmored targets (100% damage), but totally useless for armored (0%). This type of damage is Most common among Machine Guns (4 of 7). – Energy Damage. Good for unarmored targets (100% damage) and useful for armored (50%). This type of damage have only premium Machine Guns (Megathrone and Dominion). Second is the most powerful Machine gun in the game. – Incendiary Damage. Excellent for unarmored targets (130% damage), but totally useless for armored (0%). No Machine Gun with this type of damage in the game yet. – Acid Damage. Good for unarmored targets (100% damage) and just brilliant for armored (130%). This type of damage have only Acid Cannon. It has a Shotgun’s fire-rate, but uses Machine Gun Cartridges as ammo. Unlike Pistols, all Machine Guns (except Acid Cannon) have the same reload slider: , same rate of fire and reload time. But it deals 100% damage from any distance (MG property), uses MG ammo and has MG magazine capacity. Almost everything is MG alike. The only thing in common with the Acid Shotgun is the fire rate and the damage dealt! It’s “cannon”, not really machinegun, but it’s ok to be in the machinegun type by other properties. Sure, my mistake. Acid Canon has 18 rounds top. I’ll correct it! The research requirements for the Acid Cannon isn’t 2600 Skill Points, its 2500 Skill Points. The amount of disc needed is correct, 40 discs. There is another correction for the acid cannon, I noticed when I was about to research it. Cost reduction is 4 g2 acid grenades and not 8.
is dominion mg worth it if you already have the acid cannon? Yes, it worth it! Because the fire rate, magazine size and overal damage are way bigger! Anyone mind if I asked if the Construction cost or Construction time” be placed in each weapon tab? I was looking for the construction cost of Juggernaut for a long time on it’s page but finely found it here, I feel so stupid. I been being careful with making weapons after being ripped off on Dragon Pistol because I could of used those targets for upgrades and my Cobra is almost maxed out. I received the offer for Dominion MG. I have enough gems currently to buy this but not sure. Will this offer appear later as well randomly if I leave it for now? From my personal in-game experience, yes. I seen a companion offer show up twice. I’m wondering what the gem purchase odds are for the dominion mg or kurbatov pistol to appear. I’ve been playing casually for over two months while in the 60-72 level range and they have not shown once for purchase. I wish you include charts with the fire rate here and on AR page like you have on the pistols page !